It's a half measure that probably won't satisfy either side. 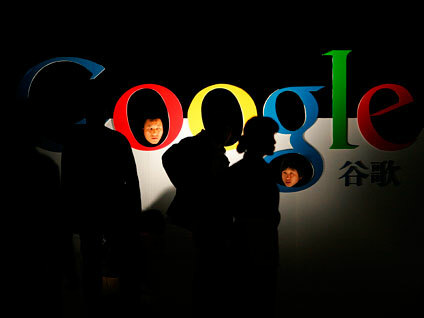 Google's license to operate in China expires this week and late Monday the company disclosed its intention to stop redirecting customers in China to its Hong Kong website. In January Google took a bold stand when it announced it would no longer censor Internet searches on its Chinese search engine. But reading through the blog post issued by Google senior vice president David Drummond explaining the decision, push may be coming to shove. "We currently automatically redirect everyone using Google.cn to Google.com.hk, our Hong Kong search engine. This redirect, which offers unfiltered search in simplified Chinese, has been working well for our users and for Google. However, it's clear from conversations we have had with Chinese government officials that they find the redirect unacceptable - and that if we continue redirecting users our Internet Content Provider license will not be renewed (it's up for renewal on June 30). Without an ICP license, we can't operate a commercial website like Google.cn - so Google would effectively go dark in China." Google doesn't want to exit China and leave everything to the likes of Baidu or Microsoft. But if, as Google says, the authorities believed the status quo was "unacceptable," they're hardly going to be impressed by a move to send Chinese users to a landing page, where they can click to go to the Hong Kong site. It's the same result, just different packaging. All this is going to make little impression on the stone-cold communist apparatchiks in Beijing. The Chinese objected to the Hong Kong end-run, and this simply pushes uncensored search access just an extra click away. What's more, after getting called out publicly in the Drummond blog, the government would lose face if it backed off its hard-line position. There's nothing in China's recent history to suggest it is going to have a change of heart. The U.S. government isn't going to lift a finger to help. We owe the Chinese billions and need their help reining in Iran's nuclear ambitions. In fact, U.S.-Sino relations have been improving since the start of the year. Is the Obama administration going to sacrifice its bigger geo-political agenda for the sake of a single company? Watch the State Department run for the hills. Can Google have it both ways? Early reviews of the announcement aren't encouraging. Mashable's Ben Parr, reaching for the rock and the hard place analogy, notes that while "China is too lucrative of a market to pull out from entirely," censoring search results would contradict everything the company says that it's about. SearchEngineland's Barry Schwartz more bluntly: says it's time to stop straddling the rhetorical fence: "If they want to stay in China, then deal with it, filter the results and stay." Charles Cooper is an executive editor at CNET News. He has covered technology and business for more than 25 years, working at CBSNews.com, the Associated Press, Computer & Software News, Computer Shopper, PC Week, and ZDNet. E-mail Charlie.